I honestly can’t remember! It feels as though I’ve been reading it forever, but I don’t think there was any such thing when I was growing up – funny women hadn’t been invented back then. I started out writing hard sci fi, then, as I carried on, the hardness got sort of...well, runny. Next thing, I woke up and found I’d written an entire romantic comedy. I like writing (and reading) about people. About what makes them tick, why they behave the way they do, exploring personalities. So, it was either chick lit or psychology text books, and I prefer the laughs I get from chick lit, although I don’t really call what I write chick lit, I call it ‘dark psychological romance, with jokes’. I read absolutely all genres, from fantasy to thrillers (I’ve no idea why I said that, as though fantasy and thrillers are two opposite poles, but I’m sure you know what I mean). I love everything that has well-drawn characters and snappy dialogue, and I’m prepared to forgo the dialogue for a cracking story. Rachel’s Holiday by Marian Keyes. Some dispute whether this is chick lit or women’s fiction, but either way it’s a fabulous character study of delusional people and addiction. 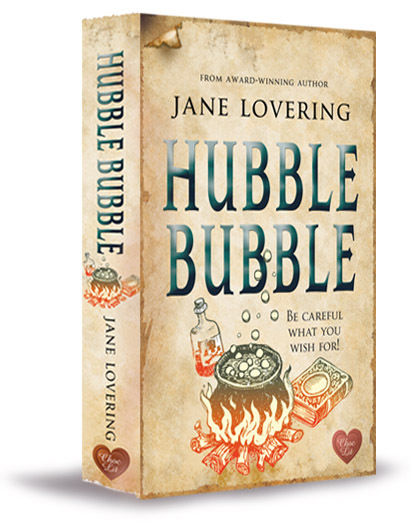 My current release with Choc Lit is called Hubble Bubble, it’s set (as all my books are) in North Yorkshire where I live, and it’s about a woman called Holly trying to stop her best friend from joining a witching group. It’s not paranormal, no magic is actually done, although some is performed, and no animals were harmed in the making. May contain nuts, though. The local countryside, the weirdness of people who want to think they can influence the Universe, the ‘what-ifs’ of life, and a phenomenal amount of biscuits. Mostly Hobnobs, but I’m not sniffy, anything will do. No. I don’t do series, apart from my vampires. The very lovely and talented Berni Stevens, who does most of the covers for Choc Lit. And a terrific job she makes of them – we are very lucky to have her. Oh dear. The only films I tend to see are Sci Fi because I don’t get out much, and I shouldn’t think The Avengers is chick lit.... let me think...I liked Four Weddings, does that count? I like women who don’t look for a man to save them, who save themselves and the man is a nice bonus, so I’m going to say Rachel Walsh, from Rachel’s Holiday. Well, me, obviously, because it’s a bit tiring doing book signings when people only approach you to tell you they don’t know who you are. Or to ask the way to the toilets – seriously, people, when there’s a person sitting, holding a pen in front of a pile of books and a big picture of THEIR FACE on a poster behind them, don’t ask them where the Fifty Shades books are, or the quickest way to get to the bus station. They can turn nasty. Trust me. 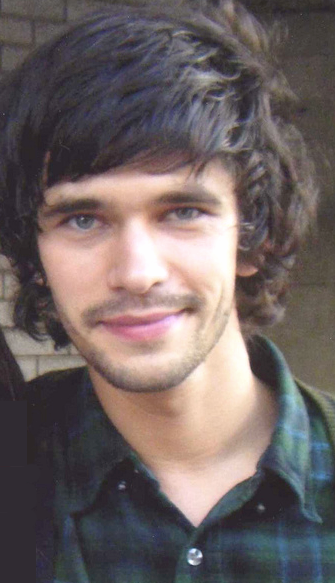 Ben Wishaw. In a wig. Speed Round...Top drink to make you tipsy? Cocktails! Shopaholic or shopadon't? Ahahaha...I don’t. I wish I could, but I like the feeling of paying bills. Sky high heels or closer to the ground? Flats for the day job, Wellingtons for everything else. E.L. James or Jilly Cooper? Neither, sorry ladies. Jane Lovering was born in Devon and is refusing to grow up in Yorkshire. She has five children, three cats, two dogs, five chickens and a nasty cough. 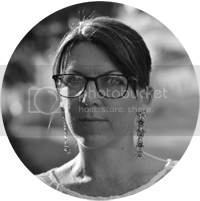 Her day job involves working in a local school as a Science Tech, but she much prefers writing in the warmth of her bed, from where she produces romantic comedies and paranormals for Choc Lit Publishing. She won Romantic Novel of the Year for ‘Please Don’t Stop the Music’ in 2012. 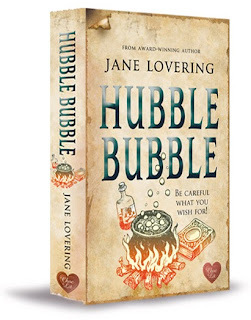 We must have the same sense of humor - maybe it's the south west thing seeing as you're really from Devon which is sort of close to Cornwall:) 'Hubble Bubble' is waiting for me to finish the book I'm reading at the moment so looking forward to it. Brilliant interview - a great start to the weekend. Loved Jane's comment about the book signing. I'll tread carefully when I see her poster! Jane's sense of humour is brilliant and translates into her books. Still laughing about Ben Wishaw.